When Canadian triathlete Jackson Phelps moves halfway around the world to train and work at his parents' resort on the Pacific island of Rarotonga, he thinks his life is perfect. That is, until Emma Franklin and her family arrive to change his life forever. With a deadly cyclone bearing down on Rarotonga, his whole world becomes unraveled. Life and death hang in the balance as he races to uncover the truth about a secret society with a history of cannibalism that meets in the deep, dark heart of the island. Will Jackson discover the truth in time to save his friends and confront the evil that has turned his tropical paradise into a living nightmare? About the Author: Chris Kersey, M.Ed. OCT. Earning a master's degree in curriculum implementation from the University of Western Ontario convinced Chris that exemplary mentors and role models are the best way to effect positive change in young people. The Jackson Phelps series is based on this belief, blended with Chris's love of travel, sports, and nature. The author lives on the beautiful shores of Lake Superior. 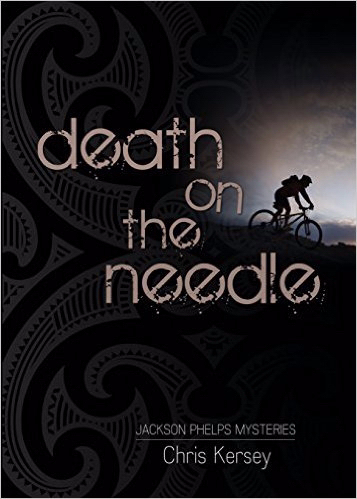 Death on the Needle by Chris Kersey was published by Word Alive Press in January 2014. The ISBN for Death on the Needle is 9781486602469. Be the first to review Death on the Needle! Got a question? No problem! Just click here to ask us about Death on the Needle.